I read an article recently about the five things you should never say to your spouse. It wasn’t very good, but it did get me thinking about what things you should say. I’m all for Santa, stockings, cookies and milk by the fireplace, presents, a Christmas tree with lights and ornaments, and all the other traditions that make Christmas a magical time for children. If you are a Christian, Christmas can be so much more. My two-and-a-half year old son and I were at Target a couple days ago and when we went to check out, he said, “there’s Santa!” I could understand his confusion, as the Target employee was wearing red and, frankly, looked a lot like Santa. I heard a Christian pastor give his explanation of the second part of this commandment; he said that it is essential that you love yourself. He said that you can’t love your neighbor if you don’t first love yourself. I’ve heard this theory on more than one occasion and it always strikes me as ridiculous. Here is my take on it. The Washington Attorney General is exerting the weight of his office on a 70-year-old grandmother. Amazingly, that grandmother is still standing. But she could lose everything she owns, all because she is unwilling to abandon her religious convictions and create unique artistic expression that violates her beliefs. Barronelle Stutzman is a mother of eight, a grandmother of 23, and a floral artist. She is the owner of Arlene’s Flowers and Gifts, a corporation founded in 1989 and previously operated by her mother, before Barronelle purchased the company 12 years ago. Every parent should be aware of this threat, and carefully consider whether to give your child milk. Boy wakes up and finds a mess. Pants are soaked and bed is wet. enters and is less than impressed. Bed and boy are stripped, reclothed. Fabric piled, still damp and cold. Admittedly, I came a bit late to the party on this challenge, but felt compelled to write one anyway. On a weekend filled with chocolate bunnies and Easter eggs, let’s remember the reasons Jesus suffered and died on a cross…and the reasons he didn’t. I blogged about The Princess Bride a few weeks ago in my post, 5 Things You Should Always Say to Your Spouse. 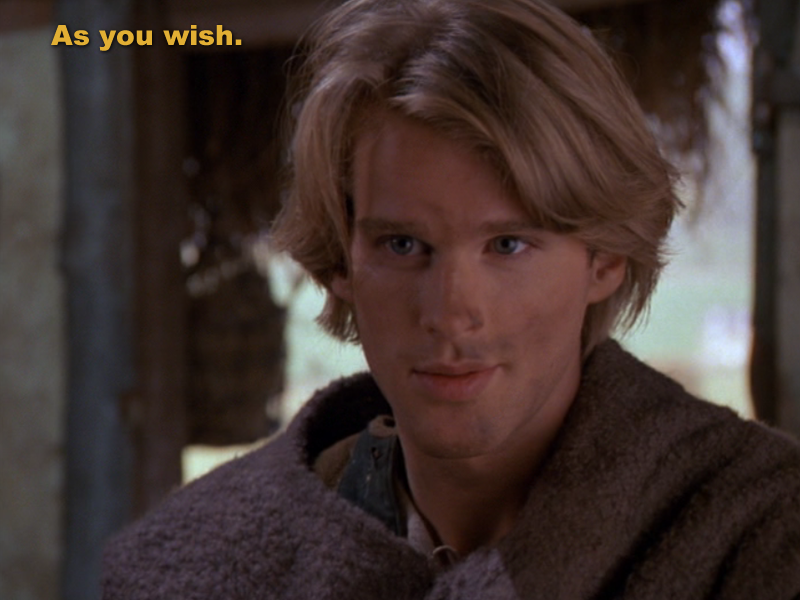 After that post, I realized that The Princess Bride has more to say about love and relationships. Here are a few things that we can learn about love from Westley and Buttercup. 1. Act out your love. He did not get arrested for a DUI. He was not caught with a prostitute. He did not have a meltdown and run into the street naked. Incidentally, the various company founders and/or CEOs who did the things described above retained their positions. To say that cancer has “touched” us all fails to adequately describe the grabbing, twisting, tearing hands it lays upon our coworkers, our friends, our family. To say we’ve all been “affected” by cancer doesn’t begin to express the gut-wrenching, heartrending devastation that cancer can leave in its wake. I wrote this song for a friend that was diagnosed with cancer because I wanted my friend to remember, and I wanted to remind myself, that there is something bigger than cancer. And because sometimes the fear that seeks to invade our soul is a much more deadly threat than anything that might attack our body. You know that pit in your stomach when you know you have to end a relationship but you are dreading the moment? I confess, I watched the first one that popped up, because I wanted to see generally what they looked like. And then I watched mine. That was sufficient. Don’t get me wrong, I completely understand the appeal of watching a compilation of milestone events in your life, and to the extent those milestone events occurred on (or were captured by) Facebook, that’s great. But what I don’t understand is why any of us would be under the delusion that others would feel the same intense longing to watch a video recap of our Facebook experience. Agree? Disagree? Let me know. Save Saeed – If He Was Your Spouse, Would He Be Worth It? This will be the most important thing you read today. Most of you are not likely to do anything about it. I’m pretty confident about #1. I’m really hoping I’m wrong about #2. Here is my question. If your spouse was being held in a foreign country, regularly beaten, in horrible conditions, deprived of essential medication, and at constant risk of death due to disease, malnutrition, or murder, would you be sufficiently motivated to advocate for his/her release? What if it was your close friend’s spouse, or a neighbor, or a co-worker? Child of God. Husband. Father. Lawyer. Taker of pictures. Thinker of thoughts.